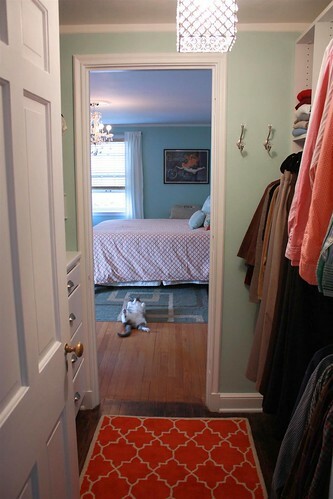 Today's closet love is from a blog I just discovered Russet Street Reno. 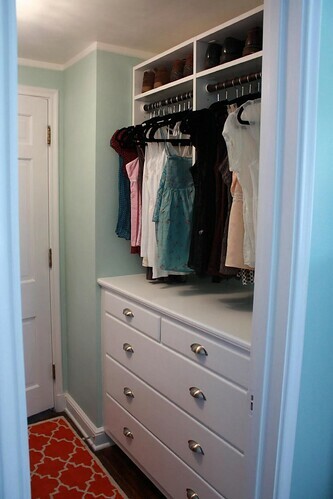 Her master closet redo is amazing! My favorite shot of course is the one featuring her cat chillin' in the background. That light fixture is so pretty. And so it the kitty cat. 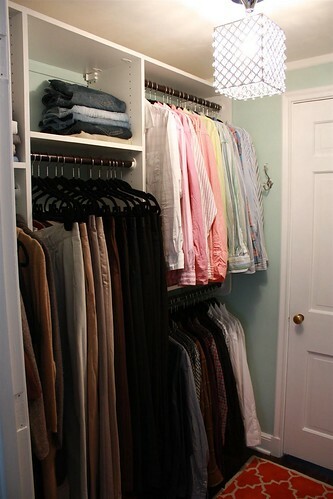 That closet is dreamy! So is the cat laying on his back! 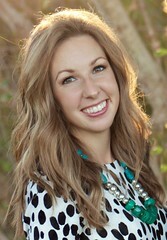 I can't wait to check out the rest of your blog! 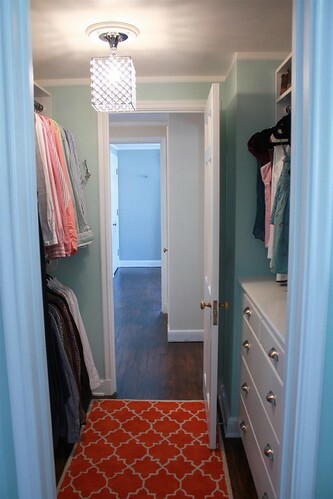 love that little orange rug! pretty. pretty.